We consider this tour one of the most beautiful and interesting, we get to live full days at the islands since the departure from it to Panama City is at 3pm instead of 8am in order to take full adventage of the last day. ​Day trips to new islands each day with: Music, snorkeling equipment included, volleyball and a cooler for your drinks, the plus of this package is a visit during the last day of the trip to the Guna community, where we will see how the community lives. 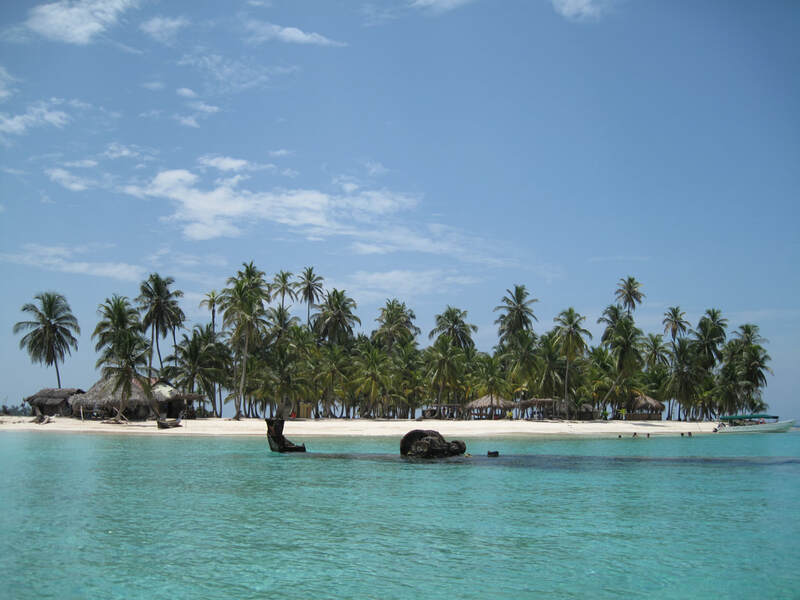 Roundtrip transportation in SUV's 4x4 from your accommodation (Hotel/Hostel/Home) in Panama City to San Blas Port between 5-6 a.m. on day 1 and arrive back about 7 p.m. on your last day. Meals are included starting with lunch the first day and ending with lunch the last day. ​Every day is different tour ​(depending on the nights booked) between these Islands: Natural Pool with starfish, Fragata Island, Perro Grande, Diablo Island, Anzuelo/Aroma Island, Chichime Island, a snorkeling trip to a shipwreck in Perro Chico. More nights. After 3 nights, tours might repeat. The restrooms are seperate from all accomodations and failry basic as well. There are 5 toilets and 5 showers shared between all guests.